The powerful Berkey Light purifies treated water and untreated raw water from such sources as remote lakes, streams, stagnant ponds and water supplies in foreign countries, where regulations may be sub-standard at best. 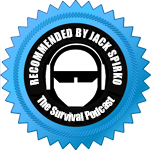 Perfect for everyday use and a must in hostile environments where electricity, water pressure or treated water may not be available. The powerful Berkey Light is the most flexible water purifier available providing reliable, user friendly and economical water purification in any environment. To claim Pathogenic bacterial “removal” one must demonstrate: 99.99% reduction. To claim “purification” one must demonstrate: 99.99999% reduction. 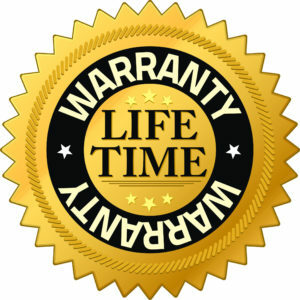 The Berkey Light has demonstrated: 99.9999999% reduction. In fact, we tested the Berkey Light with the maximum pathogenic contamination levels that can be produced in a laboratory. When contamination levels exceed one billion pathogens per liter of water (10,000 times the density of contamination used in the standard test protocol for bacteriological removal) they become too numerous to count(TNTC). Such contamination levels are referred to as “lawn growth”. Under normal testing protocol; one pathogenic organism is tested at a time. However, we had the laboratory mix together a soup of three separate pathogenic lawn growth cultures. We then tested the system under this extreme contamination level and absolutely no pathogens were able to make it through the purification elements. We then had the laboratory incubate the water and nothing grew. We then had them view the effluent under an electron microscope and not even in-viable(dead) microbes were detectable. Nothing was present but pure H2O. 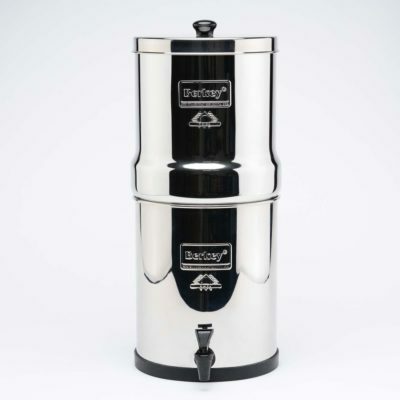 The revolutionary Berkey Light's self-sterilizing and re-cleanable filters purify water by removing pathogenic bacteria, cysts and parasites entirely and by extracting harmful chemicals such as herbicides, pesticides, VOCs, organic solvents, radon 222 and trihalomethanes. They also reduce nitrates, nitrites, and unhealthy minerals such as lead and mercury. In fact, this purifier is so powerful, it can remove food coloring from water without removing the beneficial minerals that your body needs, which, to our knowledge, no other domestic filtration system can duplicate. The Berkey Light system sets up in minutes. 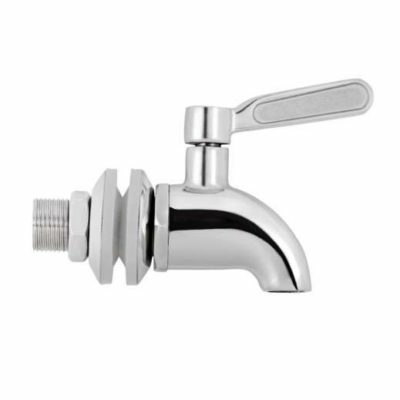 Simply screw in the purification elements and spigot, snap the chambers and base together and you are ready to purify your water. The Berkey Light is so powerful it can be used to filter non-potable or unhealthy water in situations where electricity and water pressure are not available. For normal everyday situations or for hostile filtration environments, the Berkey Light is the most flexible and adaptable water filter available. The Berkey Light provides reliable, user friendly, powerful and economical water filtration and enhances the ambience of any environment. 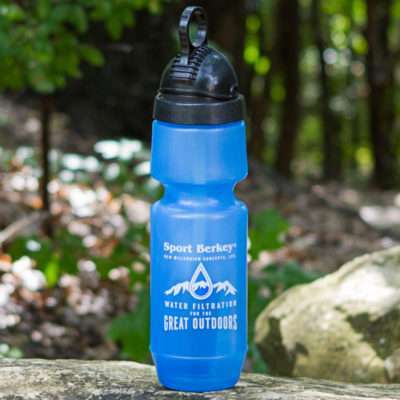 The shatter resistant and virtually unbreakable Berkey Light is made of a Non-BPA Co-polyester. 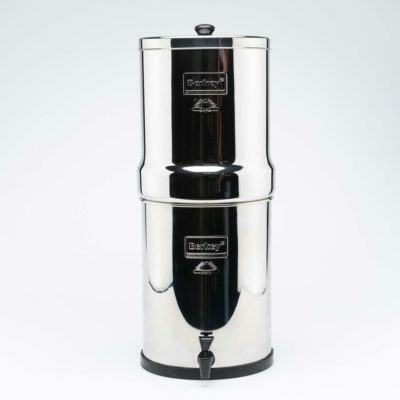 The Berkey Light does not leach foul tasting plasticizers into your water and will not retain foul tastes and odors from waterborne contaminants.